The Miami 3 Seater Swing is a stylish feature for the garden area. 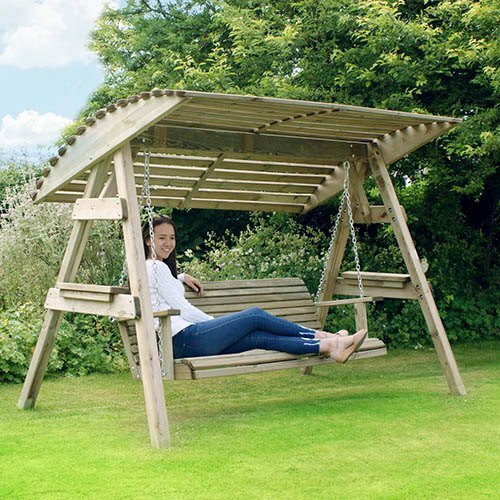 The Miami Three Seater Swing is ergonomically designed for comfort and comes complete with wooden canopy, offering ultimate sheltered relaxation for up to three adults. Made from pressure treated, FSC Certified timber for a 10 year guarantee against rot, this is a garden feature that will enhance your garden. Self-assembly required (min 2 people). Dimensions 2.20m x 1.62m x 1.80m, Weight 104.6kg. Club Price: £359.99 - Save: £40.00 Join Today! 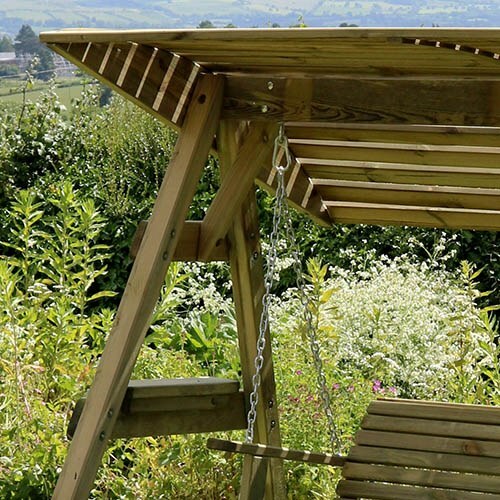 Keep the whole family entertained with The Miami 3 Seater Swing - a stylish feature for the garden area and one that everyone will want to sit on! 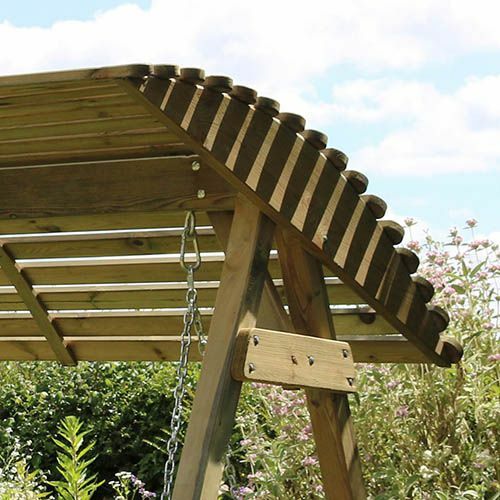 Made from pressure treated, FSC Certified timber for a 10 year guarantee against rot, this is a garden feature that will really keep the whole family entertained! Miami Swing 3 Seater 2.20m x 1.62m x 1.80m, Weight 104.6kg. IMPORTANT: This item is delivered directly by our third-party supplier. Note, a valid mobile number and email address are both required to deliver this item. Please provide these when you place your order.